Users willing to support us via Flattr for the last time can still do it during October. For our future options we're open for suggestions. If you have some nice ideas, please leave a comment. Sailfish OS Reviews is especially keen for open source solutions enabling support from readers living in several countries. Sailfish OS has expanded or is expanding to: EU, Norway, Switzerland, India, Russia, China and South America, and we're serving all English speaking readers (and maybe one day in Spanish as well) in these areas. 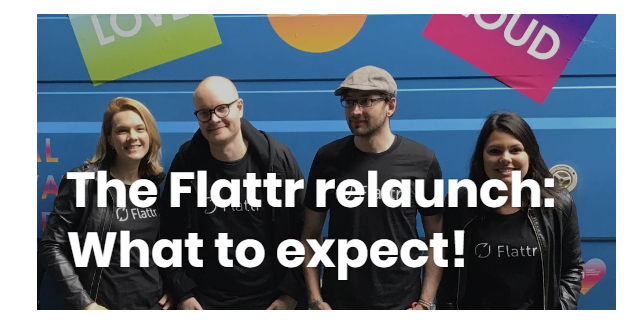 Sure, if Sailfish OS sails to US one day, we might consider picking Flattr back. But for now, please suggest another service we might use starting on November 2017. Sailfish OS Reviews also encourages our readers to support the development of Diaspora, which is an open source social media platform supporting XMPP chat. Via Diaspora, Sailfish OS users can for example use chat integrated directly to the People app and Messages app on your device. This is done via joining any Diaspora pod supporting chat (see "Services offered"), and activating XMPP Account on your Sailfish device with your Diaspora credentials. https://liberapay.com/ sounds interesting. Maybe it is worth a look.